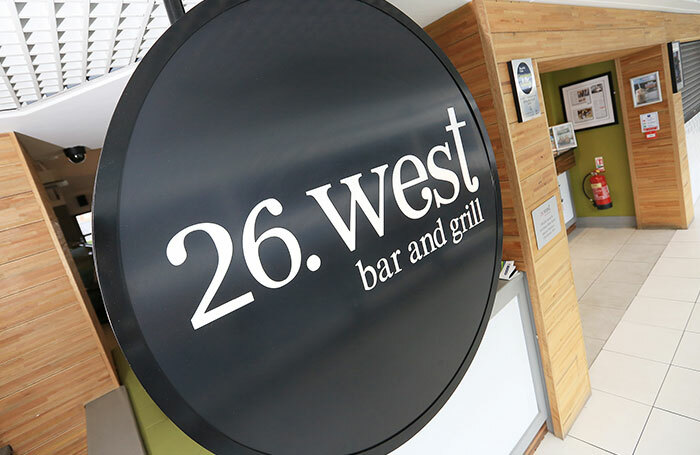 Kennedy Centre’s 26 West Bar and Grill is taking Belfast by storm. Opened in August 2013, it is the brainchild of Belfast entrepreneurs Sean Duffy, Gerry Carlile and professional footballer, Niall McGinn. Following the success of their first venture Failte Restaurant, they noticed a gap in the market for a grill bar offering modern food with an Irish American twist. 26 West offers just that. From loaded nachos to flamegrilled barbequed ribs and from old smokey burgers to fish and chips, 26 West is offering something exciting and totally new. Traditional Irish breakfasts straddle pancake stacks USA style and for the first time in west Belfast the favourite American tradition of ‘free refills’ hits our streets. And with breathtaking views of Black Mountain, you’ll not forget you are sitting in the heart of west Belfast, even if you do feel like you are sitting in New York. Based on the Kennedy Centre’s first floor, adjacent to the Omniplex cinema is perfect for any occasion.